Wintertime in Sydney is summertime in the USA and Europe. At this time of the year, there are several world-class ski resorts located close by, attracting many tourists and visitors from around the state. 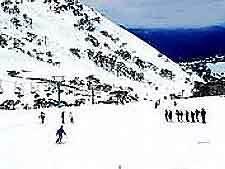 The Snowy Mountains are situated in southern New South Wales and the journey from Sydney takes around five hours by car, via the Hume Highway. Regular buses and flights are also available. With excellent facilities for skiing, snowboarding and winter sports, there are a number of exceptional skiing resorts nearby Sydney. These include the Charlotte Pass, Jindabyne, the Perisher Blue Valley and the Thredbo Village, all of which are within easy reach. These winter resorts have a number of hotels, providing relatively inexpensive accommodation, as well as helpful visitors' centres, where you can find out all the current tourist information. Skiwear is also readily available, with various rental shops at the resorts offering skis, snowboards, snowshoes, jackets and goggles. 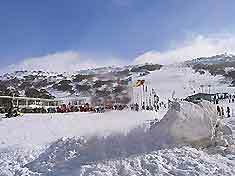 Winter activities at the Snowy Mountains include mountain biking, guided tours of the mountains, night skiing, outdoor adventure schools, leisure centres, a snow sports school and walking trails. During the milder summer months, activities here include bobsled, rock climbing, abseiling, day trips, fishing, horse riding, children's activities, mountain biking, swimming, tennis and walking. 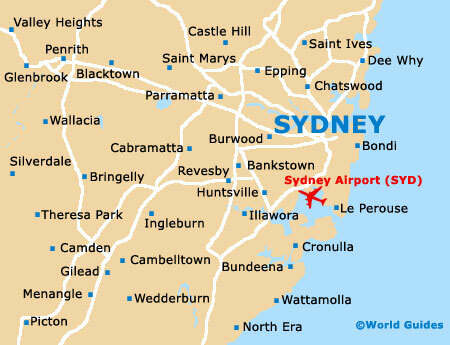 Here are some useful contact details relating to ski resorts nearby Sydney.